Two wheeler vehicles such as bikes and scooters are in great demands in India especially among the middle class people. These vehicles are not only affordable but also offer a certain ease in moving from one place to another. However, to ride two wheeler vehicles, one has to procure and carry valid two wheeler insurance policy along with a valid driving license. There are scores of two wheeler insurance companies in India that provide comprehensive two wheeler insurance online plans. However, all two wheeler insurance policies as well as companies are not equal. Hence, you need to know the right steps to buy the best two wheeler insurance online plan in India. To ensure an informed choice, you should follow the pointers mentioned below. Two wheeler insurance online policies in India can be divided in two types in terms of the coverage. The third party liability only policy is mandatory in India and it covers death or bodily injury or property damage of third party. The third party liability only two wheeler insurance online policy also provides Personal accident cover for the owner-driver. Comprehensive two wheeler insurance online plan not only covers third party liabilities but also shields two wheeler vehicles of the policyholders. You can opt out the comprehensive coverage as it is not essential. But it is advisable that you go for package two wheeler policy to remain completely safe and secured. Apart from selecting comprehensive two wheeler insurance online plan to protect your own vehicle, you can also avail some additional coverage. By paying additional premium, you can cover pillion rider and also protect your two wheeler by opting for collision coverage, vandalism coverage. You can also avail uninsured motorist coverage along with your comprehensive two wheeler insurance online plan. Many times two wheeler vehicle riders miss out on valid claims even after having valid two wheeler insurance plan because they get involved in the mishap with uninsured rider. Being armed with uninsured motorist coverage you can make valid claims during such situations. The premium for two wheeler insurance online plan is worked out on the basis of many parameters. Regardless of the two wheeler insurance company in India, these factors influence premium rates and you should be informed of them before buying online two wheeler insurance policy in India in 2017. The cubic capacity of two wheeler affects two wheeler insurance premium. There are three categories of cubic capacity such as; 0-150CC, 150-350CC, 350CC and above. The premium rises as the cubic capacity increases. IDV is the maximum value for which a two wheeler vehicle is insured. IDV is determined in terms of manufacturer’s listed selling price after adjusting depreciation and it also affects the premium rate. You have to pay higher premium if the IDV of your two wheeler vehicle is high. Once you know which factors influence your two wheeler insurance premium you can reduce it in different ways. Here are some effective ways of minimizing two wheeler insurance premium. Accumulating NCB is a great way of lowering two wheeler insurance premium. If you refrain from making claims you can avail 20% NCB in the 1st year. The amount of NCB increases to 25%, 35% and 45% for 2nd, 3rd and 4th year respectively and finally 509% after 5 claim-free years. You can make use of the NCB to reduce your two wheeler insurance premium. You can also avail discount on premium of your two wheeler insurance online plan in India by installing anti-theft devices. If you become member of recognized Automobile Association you can avail additional discounts on your two wheeler insurance premium. You can opt for voluntary deductible to minimize your premium. The higher is your chosen deductible amount, the more you can save on your two wheeler insurance premium. However, in case of a claim you have to pay the deductible amount initially to make your provider pay the rest. Hence, you ought to select the deductible accordingly. All two wheeler insurance companies in India are not the same in terms of claim settlement. Quick approval of claim is of utmost importance because that is the reason behind availing two wheeler insurance online plan in India. This is why you should pick the two wheeler insurance company with the best claim settlement ratio. These 5 steps will help you procure the best two-wheeler insurance online policy in India in 2017. And, you can also make use of these pointers to keep the two wheeler insurance premium in check. After checking all the criteria once you shortlist some of the best two wheeler insurance online policies you need to compare two wheeler insurance online to pick the best two wheeler insurance online plan in India. GIBL.IN, the premiere online insurance marketplace, facilitates easy and fast comparison of online insurance policies. 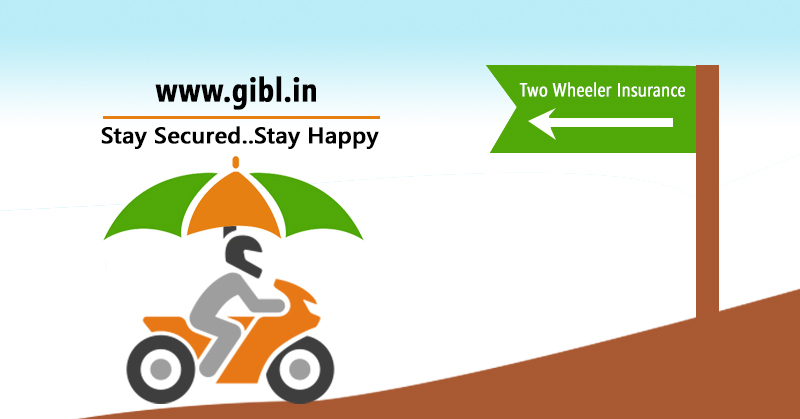 You can also visit GIBL.IN to buy and renew two wheeler insurance online.